Two undercover reporters discover how easy it is to illegally obtain anabolic steroids in Singapore. Joyce Lim and Shaffiq Alkhatib of Singapore’s “The New Paper on Sunday” recently published the results of a steroid expose. They reported the not-so-shocking news that Singapore is no different than any other country where the recreational use of steroids by bodybuilders is illegal – the average gym-goer still has no problems finding steroids in health clubs. Anabolic steroids, steroid esters with “androgenic or oestrogenic or progestational activity” and various ancillary and non-steroidal performance-enhancing drugs are restricted in Singapore under the Poisons Act. Steroids can only be legally used when prescribed by a doctor and/or used under the supervision of a licensed pharmacist. Nonetheless, steroid use in Singapore gyms has become very popular. Many bodybuilders bring steroids back from nearby Thailand. Steroids are available over-the-counter without a prescription at pharmacies in Thailand. The Poisons Act hasn’t served as an effective deterrent as the steroid black market is thriving according to reporters Lim and Alkhatib. Many personal trainers and other gainfully-employed individuals make a little extra money on the side selling steroids. Even executives at engineering companies moonlight as steroid dealers in Singapore according to “The New Paper” investigative report into the world of steroids in Singapore. Steroids with “fanciful names like dianabol, stanozolol and deca durabolin” were among the steroids offered for sale to the undercover journalists. The engineering executive discussed his steroid dealing business with the reporters on Facebook. He claimed that he only sold steroids to people he knew. But when the reporters asked if he could sell them steroids, he was happy to oblige. The reporters were able to score 100 tablets of Anabol for 70 Singapore dollars (USD $56). Apparently, Singapore citizens are more worried about getting caught chewing gum than getting caught buying and selling steroids. 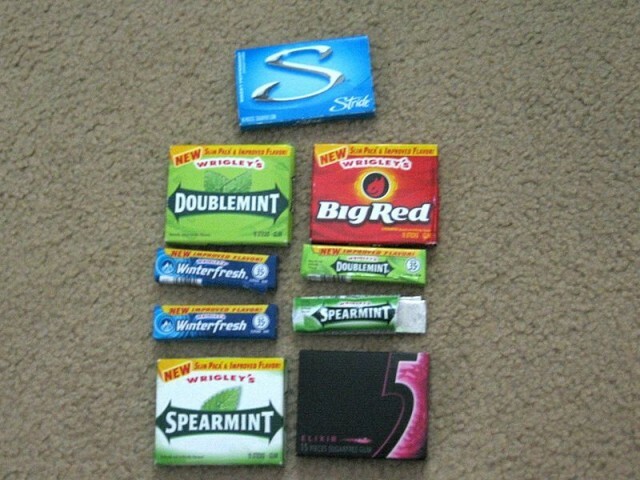 Could it be possible that the chewing gum ban is enforced more strictly than the steroid ban?